First Unity Church originally was called the Southside Unity Society of Practical Christianity. It was founded by Hilda Louise Eilers. The group began meeting in 1924 in a room in the Kingsway Hotel. Mrs. Eilers attended Unity Training School and completed the Correspondence Course. She became a Licensed Teacher about 1935. She received training from Charles Fillmore, H. B. Jeffrey, E. V. Ingraham and Cecelia Ayres at Unity and Dr. Schroeder and Rev. E. Nordmann of Divine Science. 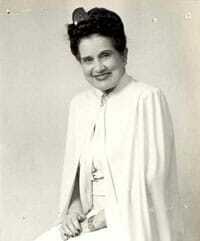 Mrs. Eilers was ordained as a Unity Minister June 30, 1937. She also received a doctorate from the College of Divine Metaphysics in Indianapolis, IN. “In 1924 Mrs. Hilda Louise Eilers, a very beautiful, gifted and profoundly dedicated young woman started the first Unity movement in the city of St. Louis in a room of the Kingsway Hotel. “She was ably assisted by her husband, Fred Eilers and other loving associates. She was studying for the ministry through the Unity School of Christianity, Lee’s Summit, Missouri and she was also steadily employed by Famous Barr. Mrs. Eilers hosted services in her home at 1118 Dover Place for several years; the adults met in her parlor, and the children had Sunday school in the basement. She trained other women who started churches in the St. Louis area. Among her students were: Julia McKee, ordained in 1949; Florence Schaefer, ordained in 1952; Kate Evans, ordained in 1953; and Louise Lawrence, ordained in 1961. The four women founded Unity centers in Lemay, Ferguson, Overland, and mid-town St. Louis, respectively. As the congregation grew, they moved from Rev. Eilers’ home into rented storefronts, including one on the corner of Grand and Fillmore in south city. The first mention of the center in Unity Magazine appeared in July, 1932. In 1941, they purchased two lots and commenced plans to build their own church, and it was completed in 1942. The church at 3616 Bates served the congregation well for over 50 years, until moving to St. Louis County in 1993. In the late 1940s and early 1950s, the church had one of the largest youth groups in the Unity movement. At one point the YOU and Sunday School had an attendance of 130 children with 21 teachers, a superintendent and an assistant superintendent. In the early 1950s, Rev. Eilers lost her husband but continued to lead the church. She later married a businessman named Westermeyer. After Mr. Westermeyer died, Rev. Westermeyer (previously Eilers) continued. In 1967 she decided to retire, and in February, 1968, having served as spiritual leader for the center for approximately 44 years, she retired. She made her transition a few years later, in June 1972. The church legally changed its name in the late 1950s to South Side Unity Christ Church. Also in the 1950s, the church was incorporated as a non-profit organization. In the 1960s, it became a member of the Association of Unity Churches. Rev. Phil Nicola, who served from April 1968 to January 1973, replaced Rev. Westermeyer. Under his leadership, the congregation began to grow again. Early in 1970, a need surfaced to either remodel or build in a new location. After much thoughtful consideration and prayer, the decision was made to remodel and to stay in the same building. By the fall, a contractor was chosen and work began. The beautiful, newly remodeled sanctuary was used for the first time in a meditation service led by Rev. Nicola on December 23, 1970. Rev. 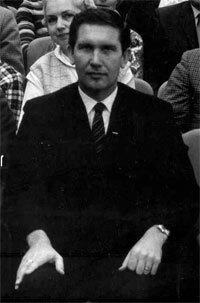 Jack Dolen succeeded Phil Nicola in June 1973 and led the church for almost four years. Rev. Dolen was an intellectual who consistently filled the church. During his term, the church’s name was changed to its current one, First Unity Church of St. Louis. The church celebrated its 50th anniversary in 1974. In November 1976, Rev. Dolen resigned to pursue counseling. Rev. Brendan O’Keefe took leadership March 1, 1977, but was only there a short time. Rev. Leila Fischer was hired in November 1978 and became a beloved leader. She had a very strong ministry, increasing membership and creating a substantial building fund. The church was so crowded she began holding Saturday evening services. A prayer circle was created, called the A S K prayer circle: A S K stands for ask, seek, knock. That same prayer circle continues to this day. Rev. 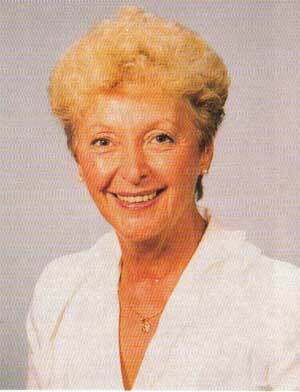 Fischer began to battle cancer, and she resigned in late 1989. Rev. Orville Grove served as interim minister from October, 1989 to June, 1990. Leila passed in March 1991. A new minister, Rev. 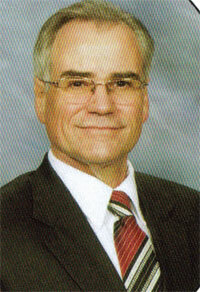 John Pearsall was hired in June,1990; however, he stayed only several years. He left for another church in the area. Rev. Randy Schmelig was hired in April, 1994, and he did a great job of completing the building of the new church, as well as ably performing his role as minister. The new church was built at 4753 Butler Hill Road, and the first service was held in the new sanctuary in November 1998. It is a beautiful church, and it has become a favored wedding spot. Rev. Schmelig retired from First Unity in August 2015. Now serving as Minister Emeritus of First Unity, Rev. Schmelig and his wife Faye live in Florida. In May 2006, Rev. 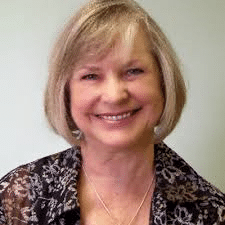 Sharon Allmond began serving as the associate minister. She implemented and oversaw the chaplain program, as well as serving as back-up for Rev. Schmelig. In September 2011, Rev. 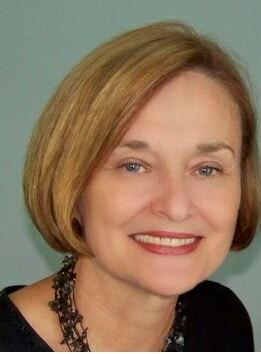 Sharon Allmond left First Unity Church to become minister of the Jefferson City, MO Unity Church of Peace. Rev. 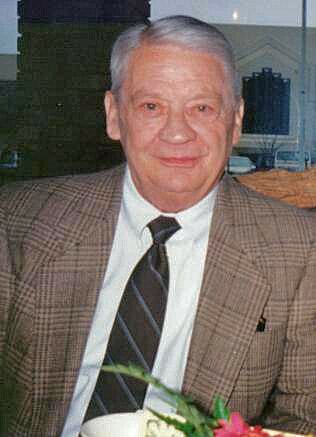 Allmond then served as minister of Unity Church of Light in St. Charles, MO; Rev. Allmond retired from there in November 2018. Rev. Jan Mourning was hired to replace Rev. Randy Schmelig when he retired from First Unity on August 31, 2015. Rev. Mourning previously served as First Unity’s assistant minister and head of the church’s Chaplain Program. Learn more about her.